Dr. Bergstrom was born and raised in Fargo, attended elementary through high school in Fargo, and went away to college down at Luther College in Decorah, Iowa. Upon finishing his medical degree at the University of Minnesota and his specialty training at the University of Missouri, he wanted to come back to Fargo as he knew it was a great place to raise kids. Dr. Bergstrom saw a need for personalized eye care in the region and opened his private practice in 1997. The current office is located in the same neighborhood that he grew up in and was actually part of his childhood paper route. The building used to be a Country Kitchen and had been a number of restaurants over the years. The current facility was extensively remodeled and upgraded in 2008. Dr. Bergstrom's philosophy is to provide state-of-the-art care to the residents of this region and to frequently think outside the box as far as alternative treatments for patients. This has proven to be a successful formula as Dr. Bergstrom has performed many many thousands of procedures over the last 25+ years. Dr. Bergstrom is a graduate of the University of Minnesota School of Medicine and a Diplomat of the American Board of Ophthalmology. He is a member of the American Academy of Ophthalmology and the American Society of Cataract and Refractive Surgeons. He is also a Clinical Assistant Professor, Department of Surgery, at the UND School of Medicine and Fellow of the America College of Surgeons. 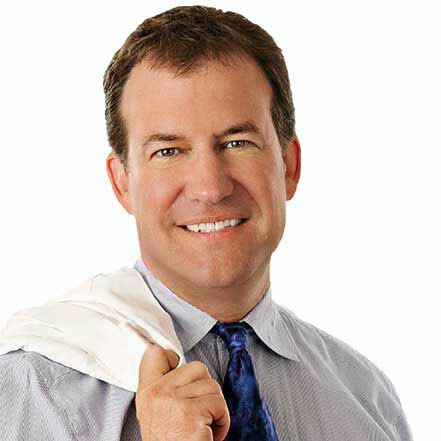 Since 1992, Dr. Bergstrom has successfully performed over 10,000 eye surgeries.